A pork pie and a pint have long been two of our great loves. Is there anything more satisfying after a long day than settling down with a pork pie and a cool beer? 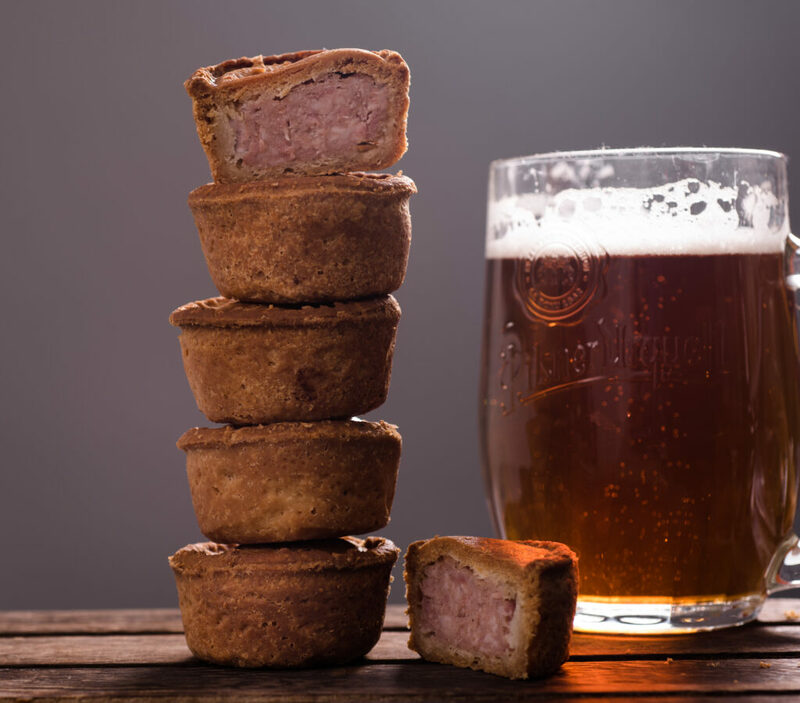 In this blog, we've given you our a beer based recipe for our beer dip that will be delicious when coupled with the humble pork pie - we were recently trading ways we eat the pork pie in Vale of Mowbray HQ and discovered a few new ideas to share with you of how we all enjoy our pies! Your favourite Vale of Mowbray pork pie to enjoy the dip with – we would suggest a packet or two of pork and pickle mini pork pies! 80ml of your favourite beer 2 packs of soft cream cheese 1 packet of ranch salad dressing mix 220g grated cheddar cheese Your favourite Vale of Mowbray pork pie to enjoy the dip with – we would suggest a packet or two of pork and pickle mini pork pies! Grab a large mixing bowl and beat together the cream cheese, beer and salad dressing mix until it’s smooth – you can skip the gym after this arm workout! This is such an easy recipe – a three step process towards a delicious dip! What beer is your favourite that you’d drink alongside your snack? We’d suggest a cold craft beer – we always love a craft beer as the flavours are always more refined and intense. We also love a flavoured craft beer; have you tried a beer from the Whitby Brewery in North Yorkshire? Beginning as a microbrewery in 2013, their brewery is just by the iconic (and spooky) Whitby Abbey! Aside from the delicious beer, we were drawn to their fantastically themed Whitby names of the beers; ‘Black Death,’ ‘Fossil Fuel,’ ‘Jet Black’ and ‘Whitby Whaler’ to name a few. Which of our pork pies would you enjoy the beer dip with? Keep it plain with a traditional plain pork pie, or try a flavoured one such as the pork and pickle or – if you’re a big fan of cheese, match the cheese in the dip with a cheese and pickle snack pork pie. If there’s a big group of friends at your gathering – pull out the show stopping county and Grosvenor and egg pork pies which you can allow guests to slice themselves their own portions – perfect for sharing!